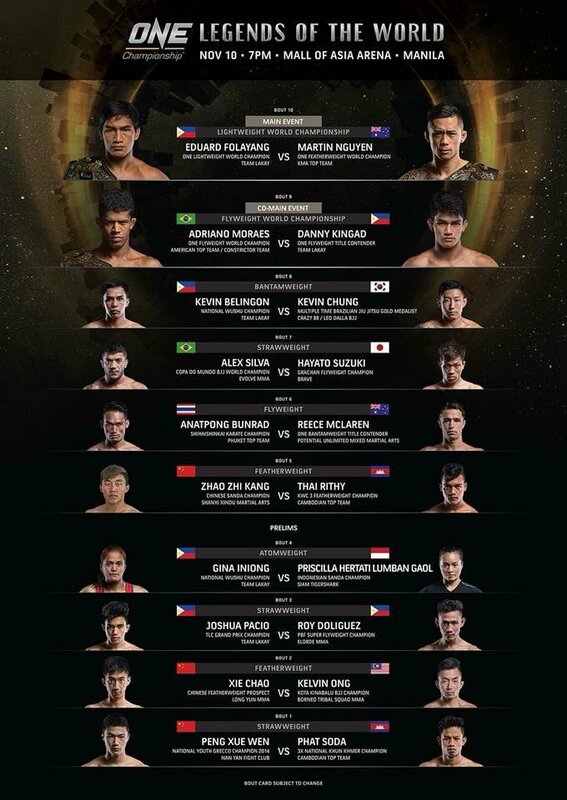 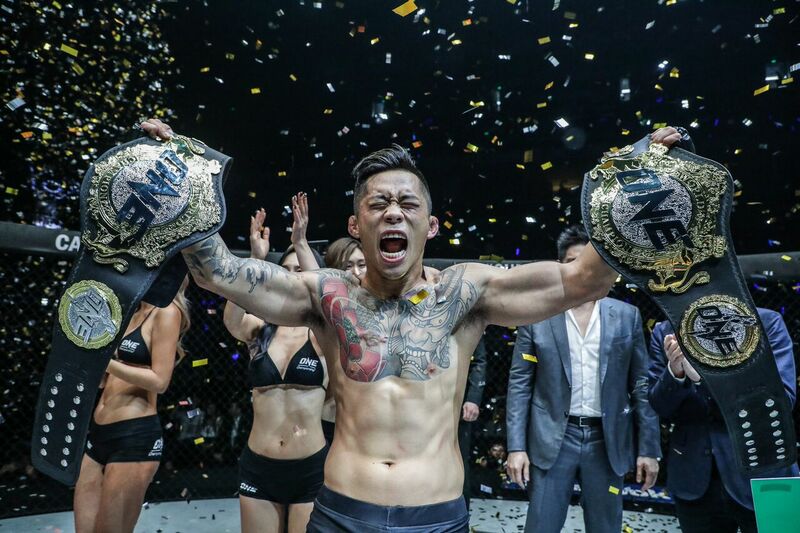 ONE Championship™ (ONE) had another memorable and historic evening in Manila as the capacity crowd at the Mall of Asia Arena witnessed an amazing display of heart-pounding martial arts action. ONE: LEGENDS OF THE WORLD featured a series of compelling bouts, punctuated by two unforgettable championship clashes that left fans on the edge of their seats. 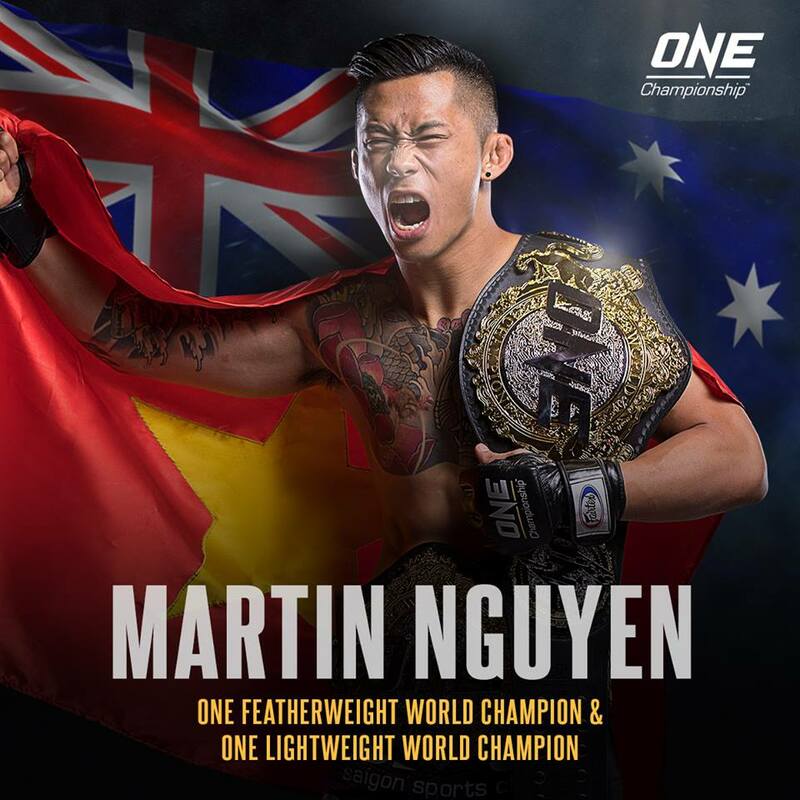 In the main event, ONE Featherweight World Champion Martin “The Situ-Asian” Nguyen knocked out Filipino martial arts superstar Eduard “Landslide” Folayang to capture the ONE Lightweight World Championship, becoming the first two-division champion in the promotion’s history. In the co-main event, Adriano “Mikinho” Moraes of Brazil retained the ONE Flyweight World Championship with a quick victory over Danny “The King” Kingad of the Philippines.